That is Just So Much Better! 13 Jul That is Just So Much Better! Pivotal Capital Group has rapidly gone from a start-up to a strong business. Co-presidents Brad Rust and Joe Gigliello realized that their brand and website were ready to catch up. Brower Group was retained to bring the firm’s image up-to-date, and to speak to Pivotal’s prospects with the straightforward, expert voice that Pivotal already provides to its clients. 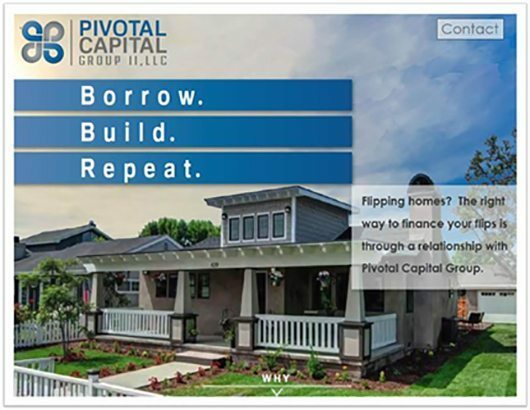 Our agency created a new brand position, logo, tagline, and website for Pivotal Capital Group, and worked to obtain more than a dozen testimonials from Pivotal’s clients for use on the website. The “before” and “after” images above show the dramatic difference this work conveys. Click HERE to see their new website. And just for the record, the entire process, including development of the logo, tagline, website, stationery package, and email template was completed well within Pivotal’s desired timeframe. 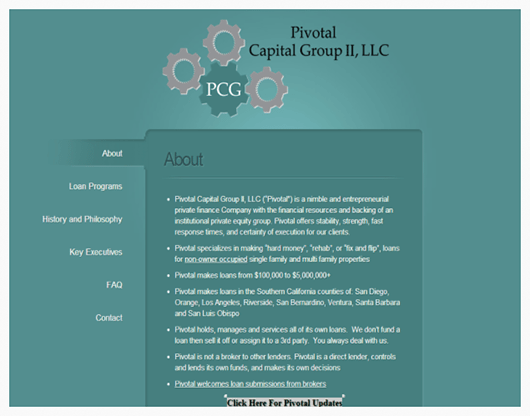 Pivotal Capital Group is getting rave reviews from its clients, and closing more deals than ever! Want to find out more? Click here to see the rest of this newsletter.